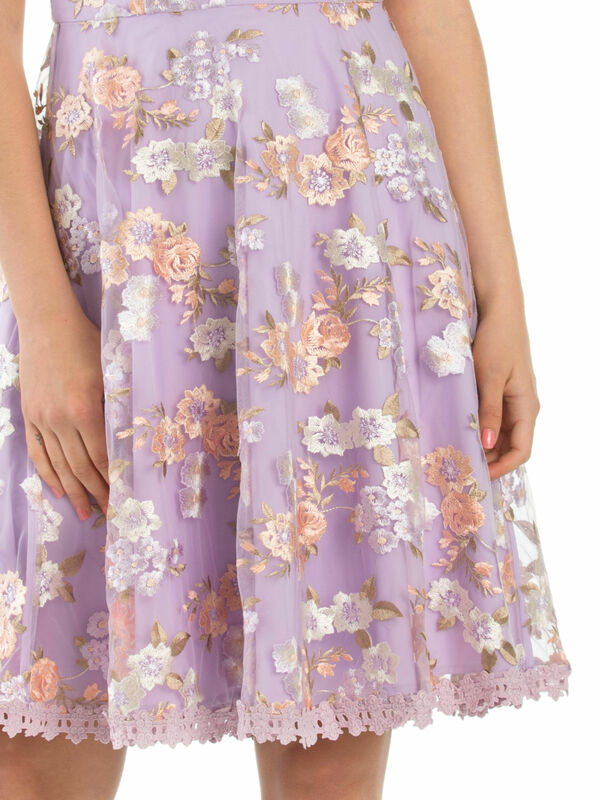 Millie Floral Dress https://www.review-australia.com/au/millie-floral-dress-lavender/RE19DR320.REPNK102.html Whether you are going to a wedding, party or prom, this Millie Floral Dress will see you through all upcoming engagements. The sweet lilac colour is the backdrop for pale pink, white, and purple floral embroidery for an eye-catching finish. The skirt is fully lined and has a lace trim to complete the look. It has a low v-neck and zip at the back. Whether you are going to a wedding, party or prom, this Millie Floral Dress will see you through all upcoming engagements. The sweet lilac colour is the backdrop for pale pink, white, and purple floral embroidery for an eye-catching finish. The skirt is fully lined and has a lace trim to complete the look. It has a low v-neck and zip at the back. Millie Floral Dress is rated 5.0 out of 5 by 3. Rated 5 out of 5 by erburn from A+ A beautiful special occasion kind of dress. But good for both daytime and nighttime events. Lovely detailing and comfortable. Rated 5 out of 5 by Kitten fur from Beautiful Beautiful dress very well made I always adore Review. Rated 5 out of 5 by Charli from Stunning Dress! This dress is so beautiful! The colours + the embroidery + the style = perfection. I found this true to size.